Banking is a very important sector for the development of any economy. IFIC Bank Limited is one of the most renowned banks of our country, which is successfully operating, for several decades. For the keen interest on my university as well as the bank. I worked in the General Banking Section. I chose this topic of my internship reports because I thought it would help me to gain practical knowledge on general banking. Secondly, I tried to identify the problem and find out the solution to the shortcomings of the general banking and provide suggestions that may be supportive for the betterment of the system through comparing it with other banks. This helps to know the overall function of the IFIC Bank Limited. While I worked on the general banking, I had to know about deposit, cash remittance and clearing and accounts departments. I checked different types of account that are provide by the IFIC Bank Ltd as well as the procedure of opening, maintaining and closing of them. All the aspects of remittance are also covered. Others services which are provided by IFIC Bank Ltd are described in the theoretical part. Supplementary belonging, which are relevant to General Banking such as clearance and cash handling procedure, are included as well. To fulfill the objective I have done the analysis of some numerical data and showed them with the help of sign IFI Cant graph. The graph shows a clear up ward trend that IFIC continues to succeed regarding the financial position and the effectively of General Banking. Necessary recommendation is provided to hold the services, which are accelerated by the bank according to the analysis of the report. IFIC Bank Ltd is an institution which is not only serving people and special service but also has a great coverage. For this reason, the profit of IFIC Bank Ltd is drastically increasing from the last decade, which is clear from the analysis of this report. Practice makes a man perfect- the proverbs tell us about to practice those procedures that we have learned through out the graduation program. Theoretical knowledge does not highlight the reality as clearly as practical knowledge. Theoretical knowledge is a guideline but practical knowledge is experience oriented. But both of them are equally important. The internship report comprises a brief study on “IFIC Bank Ltd.” The report is distributed in many parts according to nature and requirement of organization and according to the instructions of the supervisor of the report. The purpose of study is to develop skills through learning various aspects of organization. The study enables to get command on bookish knowledge through practical approach and to understand the difference in both approaches. This thing increases the knowledge and brings betterment in working within organizational environment. It includes practical experience through which I have gone through whole internship program. The internship program is required for the student of BBA. It is a program with duration of three months. Students who have completed all the required courses are eligible for this program. In the internship program I was attached to the IFIC Bank Limited for three months. This report originates to fulfill the requirement of studying BBA Program of Ahsanullah University Of Science & Technology. This program has been designed to facilitate the students with basic theoretical and practical knowledge in the job activities in the context of Bangladesh as well as worldwide. Since the BBA program is an integrated, practical and theoretical method of learning, this program is required to have practical exposure in any kind of business organization is last term of this program. This report has been prepared on practical orientation. Banks are the life-blood of modern economy. Banks are established to earn profit and help economic and financial activities so as to help economic development of a country. In such a context, the main business of Banking is to take deposits from customers and sanction credit to the borrowers. Thus the Banks act as financial intermediaries. As a service industry, the Banks are customers oriented. Customers are the driven power of a Bank and it earns profit by serving customers. In general, he, who has an account in a Bank, may be treated as a customer. In broad sense, customers may be seen from the two wings – Depositors and Borrowers. Beside these, other short-term served customers may exist in a Bank. However, as the Banking area is very hard and competitive, so in order to survive and successfully compete with other Banks, a Bank not only have to serve but have to nicely and effectively serve its customers. Now, in Bangladesh more than 50 scheduled Banks are operating their activities. Among those the IFIC Bank Ltd. has positioned well & would be able to create a strong confidence in banking sector. 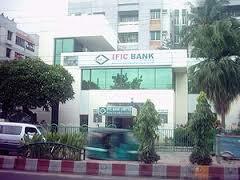 IFIC Bank Ltd is one of the leading private banks in Bangladesh. From its inception it has been playing a very strong role in the overall development of the country. To measure the overall performance of IFIC Bank Ltd was impossible for me in only three months. So I decided to observe the functions and performance of the General Banking section. I have also tried to give so much recommendation for the improvement of the performance of General Banking System of IFIC Bank Ltd.
¯ To fulfill the partial requirement of BBA program. ¯ To gain practical experience and view the application of theoretical knowledge in the real life. ¯ To know the relevant rules, regulations, theories and practices for banking. ¯ To identify the documentation & guideline for the potential credit and deposit customers. ¯ Observation of banking activities. ¯ Conversation with the respective executives & officers of the Bank. ¯ Practical work exposures from the different desks of the IFIC Bank, Kawran Bazar Branch. ¯ Periodicals published by Bangladesh Bank. ¯ Website of IFIC Bank Ltd.
¯ Annual report of the IFIC Bank. ¯ Different lending forms and schemes used by the Bank. ¯ Difficulty in gaining accesses to financial sector. ¯ Non-availability of the most recent statistical data. ¯ Some secrecy was maintained in the bank and I was not exposed to activities. ¯ Besides this, it was very difficult to carry out the whole analysis on the basis of limited scope of study. International Finance Investment and Commerce Bank Limited (IFIC Bank) is a banking company incorporated in the People’s Republic of Bangladesh with limited liability. It was set up in 1976 as a joint venture between the Government of Bangladesh and sponsors in the private sector with the objective of working as a finance company within the country and setting up joint venture banks/financial institutions aboard. In 1983 when the Government allowed banks in the private sector, IFIC was converted into a full-fledged commercial bank. The Government of the People’s Republic of Bangladesh now holds 32.75% of the share capital of the Bank. Directors and Sponsors having vast experience in the field of trade and commerce own 11.42% of the share capital and the rest is held by the general public. The mission of IFIC Bank Ltd. is to provide service to its clients with the help of a skilled and dedicated workforce whose creative talents, innovative actions and competitive edge make our position unique in giving quality service to all institutions and individuals that we care for. IFIC Bank is committed to the welfare and economic prosperity of the people and the community, for the Bank derives from them its inspiration and drives for onward progress of prosperity. IFIC Bank wants to be the leader among the banks in Bangladesh and make its indelible mark as an active partner in regional banking operations beyond the national boundary. In an intensely competitive and complex financial and business environment, IFIC Bank particularly focuses on growth and profitability of all concerned. Example: Money Market, Investments, Govt. Securities. ¯ IFIC Bank is listed with Dhaka & Chittagong Stock Exchange Limited as a publicly quoted company for its “A Class” ordinary shares. ¯ The Bank maintained a Capital Adequacy ratio of 13.50% against minimum Capital Requirement of 10% as per BASEL –I. ¯ Credit Rating: The Bank is rated “A” in the long term & “ST-2” in the short term. ¯ IFIC got Money Gram Award-2008 for Excellence in Customer Service. The Authorized Capital of the bank is Tk. 5,350.00 million and Paid-up capital stood at Tk. 1,743.86 million respectively as on December 31, 2009. 1. General Banking About 3 months. During my practical orientation I was placed in IFIC Bank Limited at Kawran bazar Branch. I studied their General Banking procedures. General Banking is the starting point and main function of all the banking operations. It is the department which provides day-to-day service to the customers. It is associated with financial transactions to facilitate customer service. However, there are other departments like – clearing, financial control and accounts, computer to give both of them back office support and to maintain regular and immaculate records. This section opens different types of accounts for their valued customers. Selection of customer is very important for the bank because bank’s success and failure largely depends on their customers. If customers are bad, they create fraud and forgery by their account with bank and this destroys the goodwill of the bank. So, this section takes extreme caution in selecting its valued customer. Current account is convenient for the business persons who need frequent transaction. In case of Current Account, no interest is given to the account holder. There are current accounts for individual, joint current account, proprietorship current account, partnership current account, and limited company current account. It is a running and active account, which may be operated upon any number of times during a working day. There is no restriction on the number and the amount of withdrawals from a current account. (a)The customer may inform the banker in writing of his/her intension to close the account. (b) The banker may itself ask the customer to close the account when the banker finds that the account is not been operated for a long time. Bank communicates with the client if the account is not operated for six months and in case of non response account becomes a dormant account. In case of non operation for two years, the account becomes “inoperative” account. If the current account stays “Inoperative Current Account” for more than one year, the account becomes an “Unclaimed Deposit” account. For withdrawal at any amount from that account, permission from head office or controlling office is required. Saving Accounts are especially for the middle-income groups who are generating limited income and have the tendency to save to meet their future need and intend to earn an income from their savings. It aims at encouraging savings of non-trading person(s), institutions societies, clubs etc. by depositing small amount of money in the bank. 5.5% interest is paid to the account holder. Both the elements of time and demand deposit are present in this account. Formalities for savings account opening and closing are same as current account. The number of withdrawals over a period of time is limited. Two withdrawals per week are permitted. But for more than that, no interest will be paid on rest amount for that month. Tk. 25,000 8 ½ Yrs. Proposed Double return after 8 ½Years. If you require to have your money back after completion of 1(one) year, IFIC will not deprive you from interest for pre-encashment. For each completed year and subsequent completed years you will get interest @8.50% p.a. (proposed). You can avail Credit facility up to max. 90% of the deposited amount against registering Lien on Instrument with the issuing Branch. If you require to have your money back after completion of 6(six) months, IFIC will not deprive you from interest for pre-encashment. For each completed 6(six) months and subsequent completion of 6(six) months you will get interest @8.50% p.a. compounded at half yearly rest (Effective Rate 8.68% p.a.). Minimum balance is required in this account is Tk. 25,000 and interest is given to the depositors at the rate of 4%. It is also a time deposit account. The formalities for opening of this account are same to those required for current account. The only difference is that 21(Twenty one) days notice is to be given for withdrawal of any sum of money from Account. These are the deposits, which are made with the bank for a fixed period specified in advance. It is purely a time deposit account. The bank does not maintain cash reserves against these deposits and therefore the bank offers higher rates of interest on such deposits. Interest is paid at rate determined by the length of the period for, with the deposit is made. Obviously, the longer is the period of deposit, the higher is the rate of interest. The depositor has to fill up an application form wherein he/she mentions the amount of deposit, the period for which deposit is to be made and the name(s) in which the fixed deposit receipt is to be issued. In case of a deposit in joint names, the banker also takes the instructions regarding payment of money on maturity of deposit i.e. whether payable jointly or payable to survivor etc. The banker also takes the specimen signatures of the depositor(s). A Fixed Deposit Receipt is than given to the depositor acknowledging receipt of the sum of money mentioned therein. It also contains the rate of interest and the date on which the deposit will fall due for payment. In this account no transactions are allowed and no Cheque books are issued. Customers are given Fixed Deposit Receipt only. It is usually paid on the maturity of the fixed deposit. IFIC Bank Ltd, calculates the interest at each maturity date and provision is made on that “Miscellaneous creditor expenditure payable account” is debited for the accrued interest. In case of the premature FDR IFIC Bank Ltd, is not bound to accept the surrender of the deposit before its maturity date. In order to deter such a tendency the interest on such a fixed deposit is made a certain percentage les than the agreed rate. Normally savings bank deposit is allowed. In IFIC Bank Ltd, the instrument is automatically renewed within 7 (Seven) days after the date of maturity if the customer does not come to cash the FDR. If the customers don’t want to renew automatically then they need to specify this option when they open that particular FDR. This is another attractive scheme offered by this bank. Under this scheme the depositors can deposit a fixed amount to the bank and for their fixed amount they are entitled to earn monthly payment from the bank. This is an attractive scheme for the retired person. This is also a kind of FDR, but here the interest is given monthly to the clients. The deposit will be 50,000, to 10, 00,000, respectively. In case of premature encashment if the period is below 1 year then no interest will be provided. If above 1-year interest will be given. 1. Individuals: Individuals are adult persons of 18 years age or more who are competent to enter into contracts. 2. Joint accounts: More than one adult jointly or adult with minors may constitute joint accounts. 3. Sole Proprietorship concern: A business trading concern owned by a single adult person is sole proprietorship concern. 4. Partnership firms: A business concern owned and managed by more than one person who may be registered or not registered is a partnership firm. 5. Private limited: A body corporate formed and registered under companies Act 1994, with limited members. 6. Public limited: A body corporate formed & registered under companies Act 1994 with limited liability of the shareholders and with no upper ceiling of shareholding both certificate of incorporation and certificate of commencement has been given by registrar. 7. Trusts: Trusts are created by trust deed in accordance with the law. 8. Liquidators: Liquidators are appointed by court of law for companies going into liquidation. 9. Executor: Executors are appointed by a deceased himself before his death by “with” to settle the accounts of the person after his death. 10. Club/Associations/Societies: There are organizations created & registered or not registered under societies registration act. 11. Co-operatives: There are corporate bodies registered under society’s registration Act or companies Act or the co-operative societies Act. 12. Non-Govt. Organization: NGOs are voluntary organizations created & registered and society’s registration Act or co-operative societies Act. 13. Non-Trading concern: These are organization registered under societies registration Act or companies Act or co-operative societies Act. Cash department is the most vital and sensitive organ of a branch as it deals with all kinds of cash transactions. This department starts the day with cash in vault. Each day some cash i.e. opening cash balance are transferred to the cash officers from the cash vault. Net figure of this cash receipts and payments are added to the opening cash balance. The figure is called closing balance. This closing balance is then added to the vault. And this is the final cash balance figure for the bank at the end of any particular day. Cash payment is made only against cheques. This is the unique functions of the backing system which is known as “payment on demand”. It makes payment only against its printed valid cheque. Date of the cheque. (it is presented within 6 months from issue date). An amount in figure and in word does not differ. Cheque is not torn or mutilated. Then gives pay cash seal and sends to the payment counter and payment office makes payment. Another important function of this department is receipt of cash. Depositors deposit money in the account through this section by deposit slip. It receives deposit from depositors in from of cash. So it is the “mobilization unit” of the banking system. It receives cash for issuing pay order TT, DD. Vault register: It keeps accounts of cash balance in vault at the bank. Cash payment register: Cash payments made in a day are entries here. Rough vault register: Cash collection for final entry in vault registers done here, as any error and correction is not acceptable. Cash balance book: Balance here is compared with vault register. If no deference is found, it indicates no error and omission. DD is called ‘Banker’s Draft’. It is an instrument, issued by a particular branch, drawn on another branch of the same bank, instructing to pay a certain sum of money. It is very popular instrument for remitting fund from one corner of a country to another. DD is issued in favor of a client who maintains an a/c with IFIC Bank. It can be issued against Cash or Cheque. If DD amount is more than TK. 50,000/=, a test code is given on IBCA. The a/c treatments will be – after giving these entries an Inter Bank Credit Advice (IBCA) is prepared which contains the controlling number, depicted that the branch is credited to whom it is issued. Postal charge Tk. 15.00 + commission 0.10% + 15% Vat on commission. After finishing all the required information entry of the DD given in the DD issuing register and at the same time bank issues a DD confirmation slip. It is entered into the DD advice issue register and a number is put on the confirmation slip form in the same register. Later the bank mails this advice to the drawer branch. Payment against bill submitted to the bank. To cash the P.O. the payee of the instrument deposits the P.O. to his bank. The bank sends the pay order to the issuing bank through clearing. Then the P.O. is passed through the deposit section and the P.O. is sent back to the clearing house again and later the amount of P.O. credited to payee’s account. A PO issued by the bank is crossed one. It is not paid over the counter. On the contrary the amount is transferred to the payees’ account. To transfer the amount the payee must duly stamp the PO. TT Issuing branch requests to another branch to pay specified sum of money to a specific person on demand by telegraph or telex or telephone. Transfer of fund by TT is the rapid and Convenient but expensive method. Client fills up the TT form and pays the amount along with commission in cash or by cheque. The respective officer issues a cost memo after receiving the TT form with payment seal, then signs it and at last gives it to the client. A test number is also put on the face of the slip. Two authorized officers sign this slip. The respective officer transfers the message to the drawer branch mentioning the amount, name of the payee, name of the issuing branch, date, test number and his her power of attorney (P.A.) number. The confirmation slip is sent by post. Step-6: Advice sent to the Head Office for reconciliation. Telephone or Telex charge TK.30. 1. Cash / Respective A/C (issuer) ————- Dr.
IFIC BANK General A/C ——————- Cr. Income A/C-Commission on TT ————-Cr. 2. IFIC BANK General A/C ———————-Dr.
Bills Payable A/C-TT Payable —————-Cr. Vat charge payable —————– Cr. Bills Payable A/C – TT Payable —————-Dr. This section receives all kinds of cheques in favor of the valued client for clearing on the part of their banking services. After receiving the cheque, it is necessary to endorse it and cross it specially. Clearing of cheque is done through the clearing house in Bangladesh Bank. 3) Inward bills for collection. 4) Outward bills for collection. It refers the instruments drawn on IFIC bank received by other banks in the clearing house from the representative of other bank. IFIC general (Sender’s Branch) Dr. There are two types of clearing; first, collecting cheques from the other branch of IFIC bank. These Cheques are settled by sending to the debiting depositors account and crediting sender’s branch account. Second, collecting cheques from another bank outside the clearing house. These cheques are settled debiting depositors account and sending DD or TT in favor of sender’s bank. Cheque drawn of another branch of IFIC bank is called Outward Clearing Cheque. These types of cheques are directly sent to the respective branch and request them to send IBCA. This is obviously an independent and unique department, which works as the composition of all the departments of the branch. This section is fully computerized. So the conventional large ledger and journal books are not kept like some nationalized bank. It receives the vouchers from all departments and prepares the subsidiaries and maintains accounts. This section deals with employees salary, many types of internal expenses such as purchases of stationary, equipment, machinery, payment of labor cost and conveyances. In case of leave of absence employee collects prescribed from this section. I worked at IFIC Bank for three months and gathered lots of experience and practical knowledge, which I couldn’t have gathered if I hadn’t worked here. 1 Account Opening: At first I worked in Accounts opening section and I learned how to open the account which was very interesting to me, because I had to deal with different types of people. 2 Clearing: Then I worked in clearing section, where I learned how to receive Cheques and keep the record. 3 Remittance: Remittance which are mainly Demand Draft, Telex Transfer, and Pay Order. Here I learned how to issue Demand Draft, Pay Order. 4. Timeliness: I found here everybody follows strict timetable. Every employee enters the bank at right time, and also leaves the bank at due time. Nobody can leave the bank before 5.30 pm. Every work is performed in time. 5. Discipline: Every work is done through a disciplined process. Employees are well mannered. Account opening forms and deposit account forms are checked carefully. Every voucher is checked carefully, it moves from table to table in a disciplined way. 6. Customer Relation: every employee behaves very well with the clients. Environment is friendly for the clients and employees are also friendly with clients. Every employee can deliver the product as fast as they can. Thus, they can maintain good relation with clients. 6.1 My Expectation: My expectations are fulfilled working in this bank. Now to some extent I know how to implement the theories into real life. Like customer relation, deposit collection, and mobilization, loan financing, etc. Three month internship is very short time to learn. This time is not enough to gather any kind of experience. But my supervisor helped me a lot. I have come to experience the reality of studying BBA beside books. During my study I have to work and make several proposals which I found only in books. But it was a great experience to work with my own hand. SWOT analysis is the detailed study of an organization’s exposure and potential in perspective of its strength, weakness, opportunity and threat. This facilitates the organization to make their existing line of performance and also foresee the future to improve their performance in comparison to their competitors. Using this tool, an organization can study its current position, it can also be considered as an important tool for making changes in the strategic management of the organization. Quality services through modern sophisticated automated system. In case of service offered by all private banks in our country, IFIC Bank Ltd, has maintained high quality. Found that a good image about the Bank has been created among the customers through careful and quality services. Since the govt. has imposed some new rules regarding private banking operation, IFIC Bank Ltd. easily coped with the given rules. Regarding contribution towards country’s GDP they have contributed a handsome amount per year. Some loyal clients who always bring in new clients. Management consists of knowledgeable and authoritative personnel’s. Interaction of the employees with the top management. The corporate culture of IFIC Bank Limited is very much interactive. The environment within the organization is very helpful, positive and informal. There is no barrier between superior and subordinate for their free interaction. As the environment is very informal and friendly, it encourages employees to put their best effort and show their best performance. The prime weakness I found was lack of motivation of employees. Absence of teamwork because of subtle interpersonal clash. Bad employee-management relation in some cases. The bank doesn’t have any long-term strategies of whether it wants to focus on retail banking or become a corporate bank. On the counter service is sometimes unsatisfactory because of not having enough employees for the counter sector. Lack of own ATM services. IFIC is going to introduce credit card and ATM facility. It is a sign of product innovation which IFIC can do further and successfully. It has branches abroad which many commercial banks of the country do not have. This distinctiveness introduces competitive advantage for IFIC. With its proper and useful operational network, there is an opportunity for IFIC to further expand its branches in many remote and new location of the country which will deliver services to customer and earn a healthy profit for the bank. Another opportunity is the establishment of new banks in very vital points. Moreover, in our country there are no closing rules for commercial banks. As a result of which as an existing commercial bank IFIC Bank Limited has a great opportunity and potential for its favorable business opportunity. Poor economical condition of our country. Different attractive services offered by some foreign banks. Daily basis interest on deposit offered by some Multinational banks. Existing card service of different banks. Other commercial banks are offering higher salary that may create problem for IFIC Bank Ltd to retain their experienced managers and executives. IFIC Bank is one of the largest and oldest private-sector commercial bank in Bangladesh, with 27 years of experience. Adaptation of modern technology both in terms of equipment and banking practice ensures efficient service to clients. But IFIC Bank has been facing few problems. In general banking system they follow the traditional banking system. The entire general banking procedure is not fully computerized. According to some clients, opinion introducer is one of the problems to open an account. If a person who is new to the city wants to open an account, it is a problem for him/her to arrange an introducer of SB or CD accounts holder. Bankers face enormous problems to fill up loan related paper like parties loan application, stock report, Net worth valuation report etc. Proper documentation under traditional rules in some cases creates serious problems for investment taking practices. Lack of team work is a major problem in general section. Sometimes the valuation of properties is not calculated properly for which clients suffer. It does not offer various loan projects like other banks. Modern technical equipment such as computer is not sufficient in general department. As a result, the service process makes delay and it is also complicated. In some cases the number of employee engaged in rendering spec IFIC services is insufficient. Employees are exposed to clients excessively which is an obstacle in systematic and prompt service. Space shortage is another major problem in General Banking Department. As a newly converted Islamic Bank, its efficient bankers are trained with traditional banking and sometimes they are not eager to follow the Islamic practice. In order to get competitive advantage and to deliver quality service, top management should try to modify the services. The synergy of dedicated manpower, technology, and market opportunity can lead the organization to achieve the goal, a bank must establish and adhere to adequate loan provision and reserve. IFIC Bank should train up their branch personnel about all sort of information regarding Society For Worldwide Inter Bank Financial Transaction (SWIFT) and its service. Due to lack of proper knowledge about the operation procedures and services provided to the customers by SWIFT, certain customers are facing problem, as they have to wait for certain time to get service. And sometimes personnel are not being able to operate SWIFT without any confusion. They are not fully independent of handling SWIFT. Official training is the solution to this problem. IFIC Bank continuously strives and tries to introduce new products and services as access card, with future improved quality services. It seems to me that day-by-day customer’s operation is increasing; individual employee has to handle different types of job. But that is pocking a back for an employee. As a result it might lead to any big mistake by the employee and service is also time consuming and customer has to suffer for this situation. May- be it would be the reason for employee’s de-motivation as well as the customer’s dissatisfaction. IFIC Bank Ltd. should focus on their promotional activities. They should also focus on the marketing aspects to let customers know about their products and offerings and more promotion should be given to attract new customer. IFIC Bank Ltd. must develop electronic banking system to moderate the service. Technological advantage of a bank ensuring its competitive edge in the market place can only be achieved by efficient manpower. Electronic banking system also allows increased access to the financial system by its customers. From the learning and experience point of view I can say that I really enjoyed my internship period in IFIC Bank Ltd. at Kawran bazaar Br. from the very first day. I am confident that this 3 three months internship program will definitely help me to realize my further career in the job market. Performance analysis of a bank is not so sufficient to measure and express perfectly within this short time of my internship period. But it is a great opportunity for me to get used to with the operational environment of commercial banking of IFIC Bank. I have tried by soul to incorporate the necessary relevant information in my report. Top management of IFIC should conduct a comprehensive study or survey on the branches’ performance, its management’s performance and the employees’ performance and their motivation as well. Few loyal committed customer bases, lack of modern and effective technology or facilities, not enough skilled employee in some sector, considering all of these very important factors. IFIC Bank should always try to improve their service level in every term. The marketing department should think freshly about their marketing objectives and practices. Rapid changes can quickly make yesterday’s wining strategies out of date. As a developing private bank in Bangladesh, IFIC Bank shouldn’t allow their clients to get dissatisfied with their service. They have their competitors who are actively striving to take the advantages in every side. During the course of my practical orientation I tried to learn the practical banking to relate it with my theoretical knowledge, what I have gathered from various courses. Kotler Philip and Armstrong Gary, Principles of Marketing, New Jersey: Pearson Prentice Hall. Griffin Ricky W. Management, Houghton Miffin Company. Khan A. R. Bank Management: A Fund Emphasis. Prospectus of IFIC Bank Ltd.
Leaflet, Booklet and department published documents. Annual Report of IFIC Bank Ltd. (2005 to 2009). IFIC Bank Ltd., Working Manual for General Banking, 2008. IFIC Bank Ltd., Working Manual for Loan & Advances, 2008. IFIC Bank Ltd., Working Manual for Foreign Exchange, 2008. IFIC Bank Ltd, Special Project Report.